With Thanksgiving right around the corner, everyone is getting ready for a new way to serve old dishes. From Turducken to deep fried macaroni and cheese, it’s not ok to show up to Thanksgiving dinner with a simple string bean casserole unless you are going to use crispy shallots instead of crispy onions. 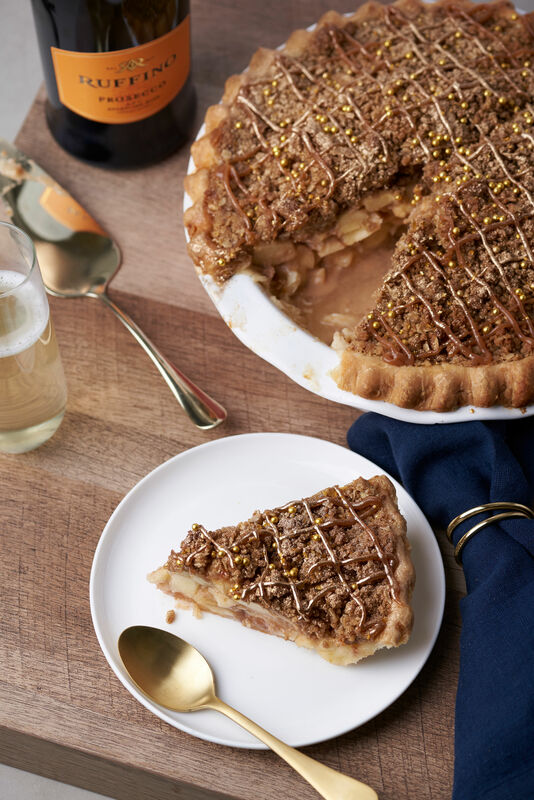 Well this season, The Little Pie Company took heed and decided to create a showstopper that will save you time and have you awarded MVP this holiday season. When it comes to holiday dining, pie or wine are go-to gifts for the event host. Now, how cool would it be if there was something you could bring where you didn’t have to choose. Well, now there is. 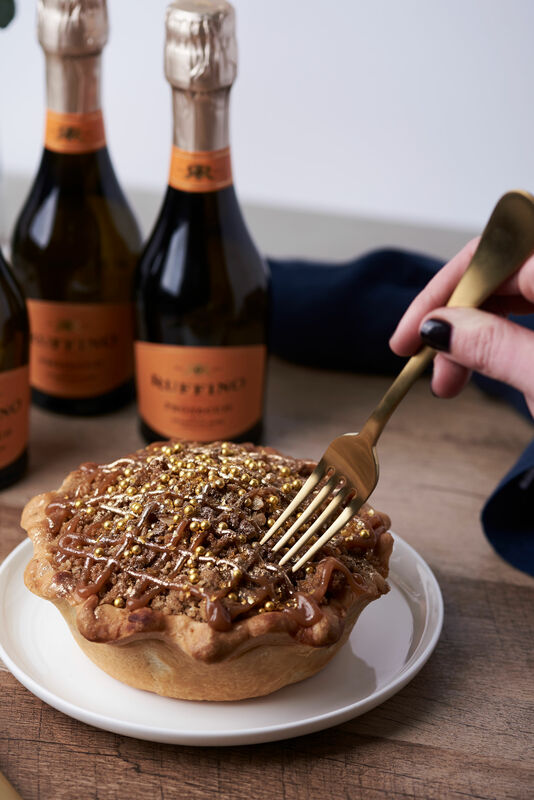 RUFFINO Wines and Little Pie Company have partnered to create Prosecco Pie, the perfect party pastry! 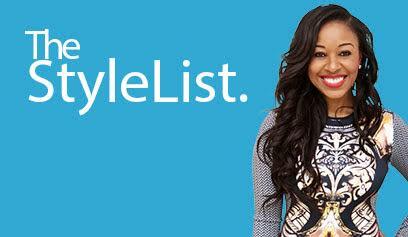 It launched on November 5 and has been flying out of the bakery ever since. During our visit, the last pie was sold at 3pm. 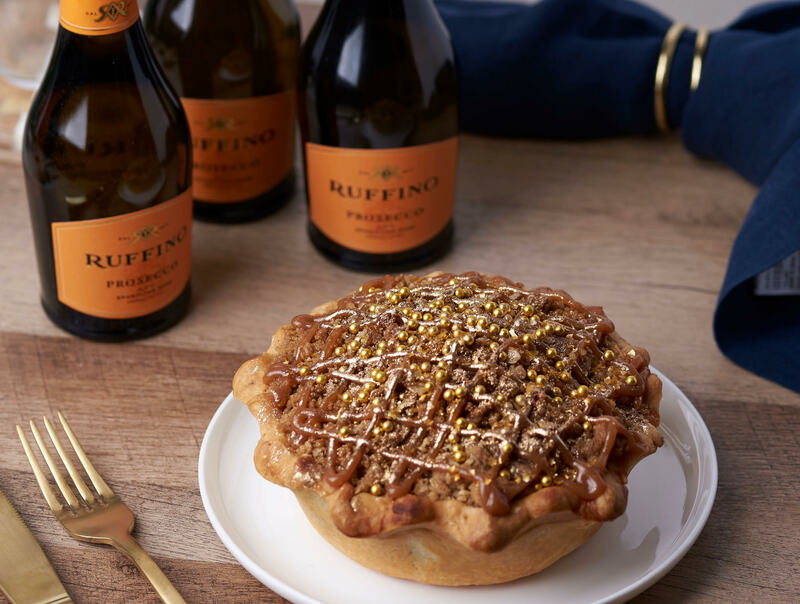 The RUFFINO Salted Caramel Prosecco Pie is the first ever Prosecco Pie and was developed by The Little Pie Company’s creator Arnold Wilkerson. 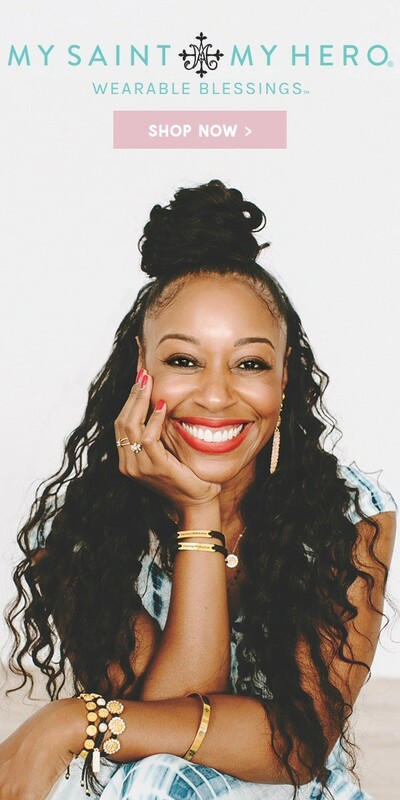 For over 33 years, The Little Pie Company has created fresh, handmade pies and gained a serious cult following, which includes celebrities such as Oprah and Sarah Jessica Parker. 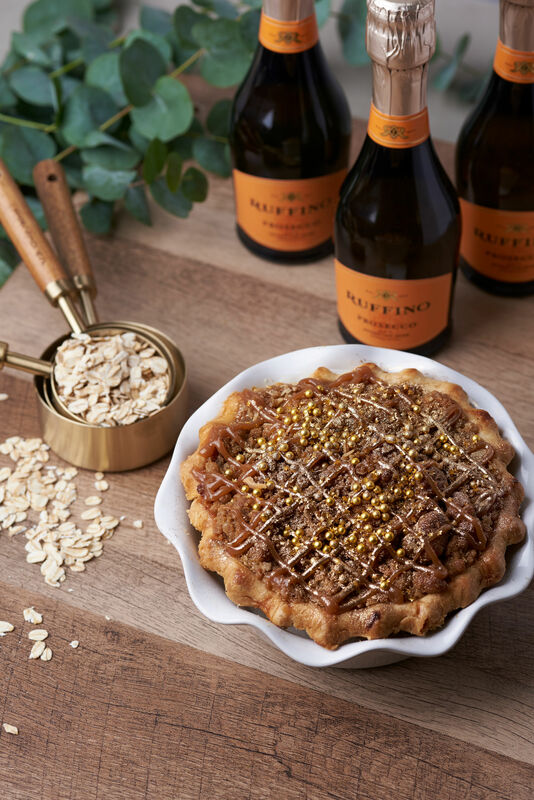 Little Pie Company collaborated with RUFFINO to create the perfect seasonal pie inspired by the apple and citrus flavors in RUFFINO’s Prosecco. The delectable dessert is baked with apple, brown sugar, salted caramel and RUFFINO Prosecco. 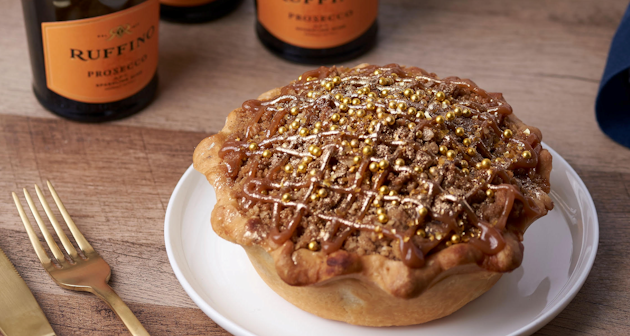 This limited edition RUFFINO Salted Caramel Prosecco Pies will be available through December 31 and in two size you can either get a 10-inch pie for the entire family or enjoy the 5-inch one all by yourself. Either way at $35 and $9.50 respectively, this Little Pie Company creation is worth a trip to Hell’s Kitchen. Oh and if you are not in NY, you can get this pie shipped nationwide. This delightful treat will be all the rave at any brunch, lunch or dinner this holiday season.